This article will focus on financial reporting tools for organizations using Dynamics 365 for Finance and Operations, Enterprise Edition, so you can invest in the right solution for your team. This past November, Microsoft unveiled Microsoft Dynamics 365. Combining the Dynamics customer relationship management (CRM) and enterprise resource planning (ERP) offerings in one unified cloud-hosted solution, there are two versions of Microsoft Dynamics 365. The lower end version of the product is called the Business Edition and is based on Dynamics NAV as a framework. The Enterprise Edition is the higher end version, which is based on Dynamics AX and created for larger corporations in the top of the marketplace. Both are hosted by Microsoft and deployed in the Azure cloud. In this article, we will explore what you should look for in a financial reporting tool for your organization to use with Dynamics 365, Enterprise Edition. 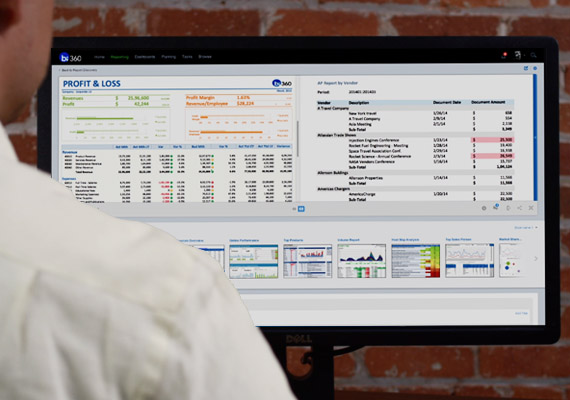 This article will focus on financial reporting software options for Acumatica users. Financial reporting is arguably the meat and potatoes of corporate performance management (CPM) as your company goes about the work of summarizing the financial well-being of your organization. In the modern business world, there is no way we can avoid financial reporting. It is mandatory, whether we like it or not, so why not automate the reporting process and streamline the report content? As we make sense of all the data that we can collect from our cloud and on-premise technology, reporting is only becoming more important.​ In this article, we will discuss the second generation of cloud reporting tools and how that will benefit your organization in managing and analyzing data from your Acumatica ERP system.